Whether you’re a millennial, a Boomer or something in between, your mom and dad probably taught you to work hard. It’s an admirable trait, especially if you run a small business. Besides, if you can’t afford an assistant, a secretary or a bookkeeper, you must do it all yourself. 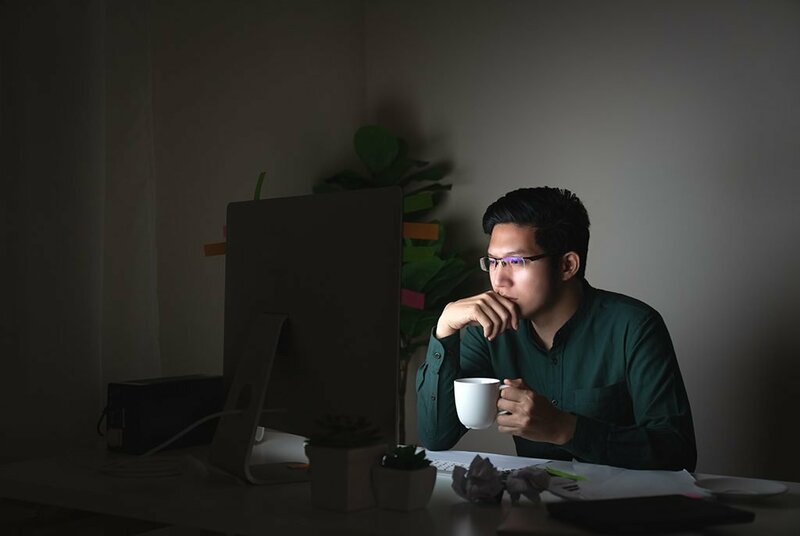 You have no choice, so you stay and work late because that’s what it takes to keep your business going. For a small business owner, working hard is the norm. When a SCORE report compiled 10 years of statics from several resources they found these patterns. Small business owners work twice as much as their employees. 39% of small business owners work over 60 hours per week. 57% of business owners take vacations but keep them short. 62% of owners surveyed say the stress is worse than they imagined. Don’t blame your parents, for your die-hard, gotta-do-it-all work ethic. Your mom was likely influenced by her mom’s 80s hard-workin’-woman theme songs. Your dad’s dad probably drummed into his head that, as a man, he was the breadwinner. He was, therefore, responsible for everybody and everything. Naturally, he passed that mindset down to you. So, if you find yourself working into the night, it’s probably a family trait ingrained in your heart from the crib. If tracking your cash flow takes up more time than you care to think about, let us be the bookkeeper near me Google’s always talking about. Let our professionals take care of your bookkeeping while you grow your business, market your products or just go home early. At Goode Bookkeeping & Consulting, we help relieve you of the inherited drive to take care of everything. We provide bookkeeping services, QuickBooks management, card processing, consulting, and many other small business services. And we do it for a cost-effective price. Our office is in Glastonbury, CT so we are near you. We handle tasks remotely and work within a secure cloud environment but we’re still local. That means we’re here when you need us… or if you just want to wave hello on your way home to grab a quick nap. Call us at (860) 659-6543. Complete our online contact form or stop by if you can find the time. We’ll schedule a consultation to talk about our bookkeeping services and talk about all the ways we can help you get home early… at least a few days a week. Shannon and his team are guaranteed to deliver the utmost quality service each and every time.